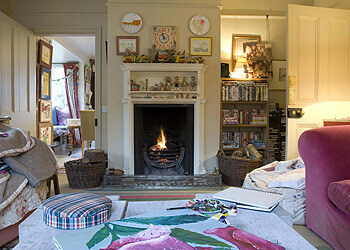 There is this house down the road that suddenly I am completely in love with. It is all boarded up and sad and looks like it just needs someone to love it. The land around it is beautiful and cold and mysterious. 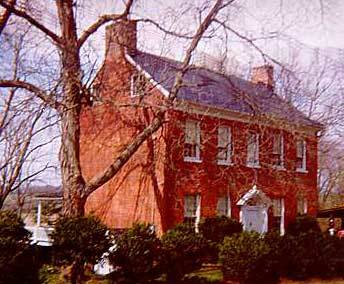 This is not the house but it is the same style, brick with chimneys up both sides and a door in the middle and little windows in the attic. The real house is much more forlorn and something about it reminds me of those books about a lonely house on the English moors even though I have never actually seen the English moors. Normally there are no children in my future house fantasies but it seems to me that a nice brick house like that has to have some babies and maybe a dog. Also, a nursery. That way it won’t matter if we don’t have enough rooms, all the babies can share their bedroom and it can also be a playroom and a family hangout. Because I destest when ugly additions are added to lovely old houses. I did find several lovely pictures of nurserys but this was the only one that would insert into my post. In any case there will be chairs and books and toys and beds and it will be a place straight out of Peter Pan, thank you very much. I fully expect my children to fly off to Neverland at some point in my life but I assure you I will always leave the nursery window unlatched. There is very little chance that I will find a dog willing to be trained as a nursemaid. But I must have a nursemaid. How am I supposed to be a woman of high society who wanders the moors and writes books and goes to fancy parties if I have no nursemaid? My solution is that I will somehow convince my little sister Jenny to come live with us and be my nursemaid/housemaid/queen of honor. 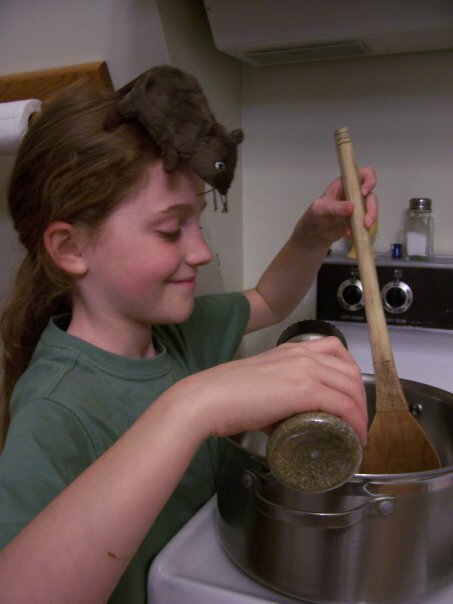 She can cook too, see, as long as there is a rat on her head to help her. Now I have it all planned out: There will be three rooms upstairs, two small-ish bedrooms and a very large nursery. Me and faceless-hubby will have one bedroom and Jenny the other, and then when my kids get too big to all stay in the same room, one of them will go to Jenny’s room and Jenny will leave to seek her fortune. I will add, as a side note, that this house is a house for three children. Therefore if there is a boy and two girls the boy will get Jenny’s room and if there is a girl and two boys the girl will get Jenny’s room. I don’t plan to have three boys or three girls or more than three kids. I have never wanted to have only three kids until I fell in love with this house, and that is when I realized that this was a three-child house. Wow I am tired. Perhaps I will fall in love with a different house tomorrow. Also, my landlady just told me that the reason no one lives in that house is because when the land around it was sold they didn’t leave enough land with the house to make a septic system. That may throw a wrench into my plans. Always such a bummer when wild fantasies meet septic systems.